Marvel has been pretty good about keeping “Avengers 4” details under wraps for the most part, but they haven’t been airtight. Some set photos have leaked that indicate strongly that time travel will be involved (we’ll spare you the details in case you don’t want to know anything concrete), and “Ant-Man and the Wasp” certainly provides the means for getting some kind of time travel party started. Now, that is an extremely interesting concept for Janet to bring up right before she, Hope (Evangeline Lilly) and Hank (Michael Douglas) are turned to dust by the finger snap Thanos (Josh Brolin) used to eliminate half the life in the universe in “Avengers: Infinity War,” marooning Scott in the Quantum Realm. And we can’t help but assume that reference means that Scott will definitely get sucked into a time vortex, and it’ll likely play into MCU events from here forward. 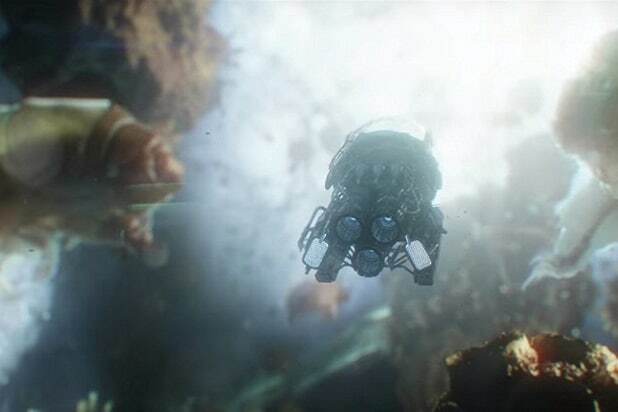 But, for now, we’re going to assume that Scott being stuck in the Quantum Realm is the incident that sets the events of “Avengers 4” in motion, and so here we’re going to think about the ways Scott’s second visit to the Quantum Realm will play out. 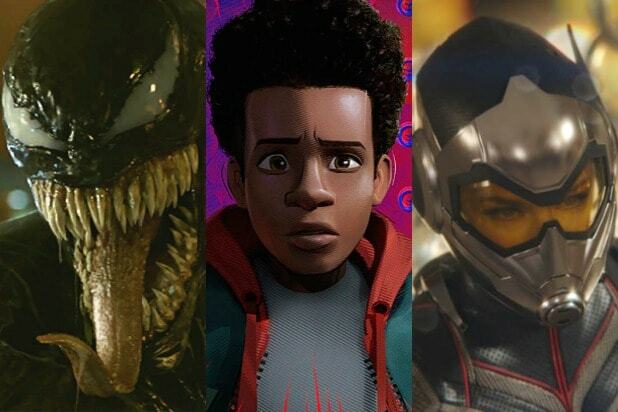 We’re not saying any of them will definitely happen — but from our view, with so little info about where all this is going, these feel like the most likely possibilities, either individually or in tandem with each other. So let’s dig in. Also Read: 'Ant-Man and the Wasp' Mid-Credits Scene Explained: What Is a Time Vortex? All that talk about how time works differently in the Quantum Realm has thus far just been talk — we haven’t actually seen any evidence of time weirdness down there yet. Janet apparently even aged normally in the Quantum Realm, which seems a bit odd, and she discusses the length of time she spent in the Quantum Realm in the same terms as Hope and Hank do, which suggests she experienced it the same way they did. But there’s one very important quantum concept that would give us some wacky Quantum Realm time stuff and also provide the impetus for Scott to go on his time journey: the idea that time is not linear in the Quantum Realm. The concept here, which relies on actual quantum physics, is that in the Quantum Realm, all times are happening simultaneously, and that physical locations within the Quantum Realm also correspond with different times — like, for example, your bedroom in your home being 2018 but your bathroom being in 1918. Basically, the Quantum Realm’s weirdness creates an intersection of all those times and locations, which Scott could travel between freely if he knew how. Which would mean, then, that Janet is and will always be down there in certain locations because they’re different points in time, even though she returned to the normal world. Thus, Scott could meet her in one of those locations that also includes a different bit of time. That could potentially give Scott access to a person with intimate knowledge of the Quantum Realm, as well as Quantum Realm powers, to bring to bear in the conflict with Thanos in 2018. Given the way Hank and Janet have described the Quantum Realm, it seems a little bit odd that Janet aged normally in the three decades she was down there. But what if she wasn’t actually in the Quantum Realm for that long? What if, instead, past Janet met present Scott and went on a time travel adventure with him back to the normal world and that’s why she aged (and also, maybe, how she managed to survive in a place where food and water could maybe not exist)? There would have to be some rules in place for Janet, however, because Janet would have to return to the Quantum Realm in order to make sure that the chain of events in “Ant-Man and the Wasp” could be set in motion. Because if Janet doesn’t end up back in the Quantum Realm then Scott would never get stuck there and you’d end up with a paradox. Likewise, if they were to go back to before Janet entered the Quantum Realm the first time then they’d have to avoid doing anything that prevents that from happening. If Janet does go adventuring outside the Quantum Realm with Scott it could mean that, like Doctor Strange, Janet has potentially even seen the end of the war (or at least, a potential end) before it was even fought, thanks to her ability to time travel. And that could provide the heroes in the present with essential information in “Avengers 4.” Ugh, our heads hurt. Next year’s “Captain Marvel” is set in the 1990s, a time period unexplored in the Marvel Cinematic Universe thus far. And so if Ant-Man is going to travel through time, it would be perfectly reasonable to expect that’s where he could end up. Now, it doesn’t seem particularly likely that he will be a major player in that film’s events because we would probably know if Paul Rudd had been spending a lot of time on the “Captain Marvel” set, but he definitely could pop up in a mid-credits cliffhanger. What that sort of appearance would mean for the greater story is tough to grasp, though, but at least showing up in the past could provide a means for someone to save Scott from the Quantum Realm in the future. Scott having access to time travel ahead of “Avengers 4” definitely feels like it’ll have some major role to play in reversing the events of “Infinity War” and saving all the characters lost to Thanos’ snap and the Infinity Stones. How that might work, however, is a very open question. And if Scott shows up in “Captain Marvel,” the natural assumption would be that his usefulness will be in alerting Captain Marvel to the Thanos threat in the future. The trouble is, as of the end of “Ant-Man and the Wasp,” Scott doesn’t know about Thanos at all. We have a pretty good idea that “Captain Marvel” will be integral to dealing with Thanos, both because of the “Infinity War” post-credits scene in which Nick Fury contacts her, and because of her backstory in the comics. Carol Danvers, who becomes Captain Marvel, gets her powers from a Kree alien called Mar-Vell, the original Captain Marvel, who’s played by Jude Law in the movie. In the Marvel comics, Mar-Vell has a history fighting Thanos; Mar-Vell dies after Carol gets her powers, passing the mantle of Captain Marvel on to her. We also know that, obviously, Captain Marvel has not been an active part of the MCU for the past 10 years. Something had to take her out of the proceedings; if she was around, it would make sense for Nick Fury to have contacted her during “The Avengers” to help fight off the alien invasion of New York, for instance. Carol must have something important she’s doing. Maybe that thing is her leaving Earth to find a way to beat Thanos or reverse the power of the Infinity Stones — thanks to information she got from Scott after he traveled through time to the past from 2018. “Ant-Man and the Wasp” ends with Scott being stuck in the Quantum Realm, after Hope, Hank and Janet all disappear, but Scott doesn’t have any information about what happened to them. So while it makes sense for him to warn Captain Marvel about Thanos in the past, there’s a missing piece about how he would know enough about the situation in 2018 to do that. Janet’s line about getting sucked into a time vortex might hold a clue. It suggests that falling into one is accidental, and likely without control for where one might wind up if they do. Thus, Scott’s time travel could be uncontrolled, maybe taking him to multiple different time periods, possibly even to the future. Similarly, if Scott runs into a version of Janet still trapped in the Quantum Realm thanks to nonlinear time, she might have seen the Thanos situation play out, and could pass that info along. We don’t know, but what we do know is, Scott traveling through time doesn’t make a ton of sense if he can’t do anything to change the future by altering the past. His interaction with Captain Marvel could be a great excuse for her to leave Earth, taking her out of the MCU until “Avengers 4,” though. “Avengers: Infinity War” changed everything for the Marvel Cinematic Universe, and we have some ideas about how “Ant-Man and the Wasp” could be setting up “Avengers 4.” Click here for an explanation of that mid-credits scene and what a “time vortex” might be all about. Check out our speculation on how Ant-Man could pop up in “Captain Marvel.” For a look at how we think “Ant-Man and the Wasp” links “Infinity War” to “Avengers 4,” click here. There are also quite a few lingering questions from “Ant-Man and the Wasp,” which we explore here. ‘Ant-Man and the Wasp’ Mid-Credits Scene Explained: What Is a Time Vortex? After ‘Avengers: Infinity War,’ What in the Hell Happens Now?